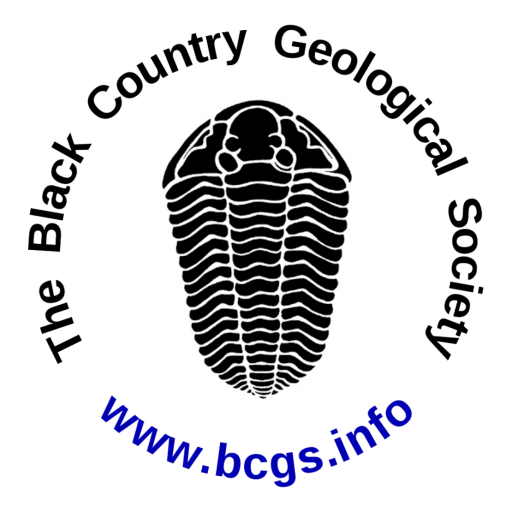 Black Country Geological Society’s indoor meetings will be held during the winter months at the Abbey Room at the Dudley Archives, Tipton Road, Dudley, DY1 4SQ. Unless otherwise stated, the Abbey Room will normally open at 7.30pm and lectures commence at 8.00pm. More contact details are available on our Contact us page. Saturday 6 April (Field Meeting): Quaternary of the Severn Valley in Shropshire, led by David Pannett (Shropshire Geological Society). Meet at 10.30 at Lyth Hill car park, GR: SJ476072 (off A5 onto A49 south, after half a mile right fork into Bayston Hill, then straight ahead to the top of Lyth Hill). Introduction to Shropshire Plain, then back to A5 and on to Bicton (David’s house) for refreshment and use of facilities. Further briefing at Merton SY3 8BT. Tour of glacial landscape via Bicton, Preston Montford, Shrawardine, and Melverley pub stop (if wanted) and tea at Melverley church, time permitting. Monday 15 April (Indoor Meeting): 'Europe's Lost World: The Rediscovery of Doggerland'. Speaker: Professor Vince Gaffney MBE FSA, Anniversary Chair in Landscape Archaeology, University of Bradford. 8,500 years ago the area that now forms the southern North Sea was dry land. By 5,500 BC the entire area had disappeared beneath the sea as a consequence of rising sea levels. The 'North Sea Palaeolandscape Project' has mapped 23,000 km2 of this 'lost world' using seismic data collected for mineral exploration. In mapping this exceptional landscape the project has begun to provide an insight into the historic impact of the last great phase of global warming experienced by modern man and to assess the significance of the massive loss of European land that occurred as a consequence of climate change. Saturday 11 May (Field Meeting): Martley Geo-Village, led by John Nicklin (Teme Valley Geological Society). Meet at 10.30 at Martley Memorial Hall for light refreshments and a pop-up display. Recognised as a Geo-Village, Martley has distinctive geology within its bounds spanning the Palaeozoic and lower Mesozoic. Includes rocks belonging to the Precambrian Malverns Complex, Martley Quartzite, Silurian and Carboniferous mudstones, siltstones and sandstones, Triassic sandstones, and Quaternary sand deposits. By car and/or on foot we will explore local geological sites, finishing around 4.00. Please bring a packed lunch.